While, a source told Yabiladi earlier this week that his candidacy is not featured in the Sakharov Prize’s nominee shortlist, Dutch MEP Kati Piri denounced the information, stating that Hirak figure Nasser Zefzafi is officially nominated to compete for the award. 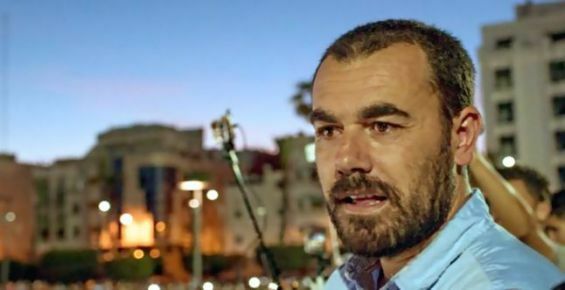 Hirak activist Nasser Zefzafi is officially on the Sakharov Prize nominee list, Dutch MEP Kati Piri told Yabiladi on Thursday, after rumors emerged, suggesting that he is no more part of the candidates competing to win the Freedom of Thought award. «He has been officially nominated for the prize», confirmed Piri, who announced on her Facebook on Wednesday that along with Judith Sargentini and Marie-Christine Vergiat, two MEPs, she has managed to collect forty signatures, ensuring the nomination of the Moroccan Hirak detainee. Moreover, the MEP told Yabiladi that she «expects the information to be available on the website of the European Parliament by tomorrow (Friday)», indicating that all reports, saying opposite are «incorrect». On her Facebook page, Kati Piri stated that having Nasser Zefzafi as a nominee for the prize, established in December 1988 by the European Parliament, shows that «Europe is backing people who stand up for their basic rights». «This is a victory to the Moroccan activists who fight tirelessly to spotlight their cases», she added. The statement of the Dutch MEP Kati Piri comes as a well-informed source told Yabiladi on Monday, 10th of September, that Nasser Zefzafi’s name is not featured in the Sakharov Prize’s shortlist for the 2018 edition. «His nomination was rejected by the committees in charges of examining candidacies», said the same source. «The shortlist of nominees includes : Dawit Issak, a Swedish journalist and writer of Eitrean descent, who was imprisoned in his country of origin since 2001, Nabeel Rajab, a Bahraini human rights activist and opposition leader, Biram Ould Dah Ould Abeid, a Mauritanian activist known for fighting against slavery in his country and Raphael Marques, an Angolan journalist». On Friday 7th of September, French MEP Marie-Christine Vergiat announced that Nasser Zefzafi’s candidacy has collected the necessary number of signatures to compete for the prize. For the record, the Sakharov Prize for Freedom of Thought, known as the Sakharov Prize is granted to individuals and groups who have dedicated their lives to the defense of human rights and freedom of thought. The prize is accompanied by a monetary award of €50,000. It was awarded to distinguished and known figures such as former South African president Nelson Mandela, and Russian human rights campaigner Anatoly Marchenko. The winner is announced in October.